Finally, the time has come when everyone suddenly began to understand just how much we’ve hurt our living environment in the past and decided to take the necessary steps to prevent further destruction. However, trying to repair the consequences caused by year and years of negligence is not as easy as it sounds. While some people chose to implement only the smallest of changes to their lifestyles, others decided to fully embrace the green movement with open arms. Water is an essential resource that is, unfortunately, finite. What some people choose to ignore is the fact that, if we all keep up with our wasteful ways, we’ll run out of this precious resource sooner rather than later. So, here’s what you can do in your home to reduce the amount of wasted water. The first thing for an eco-friendly home is to implement some seemingly small, but very efficient upgrades. For starters, install aerators on your taps and shower heads that will reduce the amount of water you use, without compromising the pressure. The way they work is quite interesting – they mix water with pressurized air, which significantly reduces the amount of water necessary to perform some of the basic tasks, like washing your hands or taking a shower. When it comes to toilets, opt for a dual flush or low-flow toilet tank. The dual flush toilet allows you to control the amount of water used every time you flush while the low-flow one uses significantly less water than a regular one. Damaged pipes are what nightmares are made of. Not only can they waste a lot of water if they happen to leak or have any cracks in them, but they can also significantly damage your property and even endanger the health of everyone living in the house. That’s why you should inspect your pipes on a regular basis and try to take care of potential problems before they appear. For example, in countries such as Australia, heavy rainfall is a common occurrence. That’s why experts for blocked drains from Sydney offer various solutions that prolong the lifespan of pipes and make them more durable. Therefore, try to find similar experts in your neighborhood and take care of your pipes on time. There are numerous ways you can save energy in your home and they range from small upgrades to big remodeling projects. Here, we’ll be focusing only on the easiest solutions you can implement. The first and the easiest way you can save energy is by replacing all of your incandescent light bulbs with energy-efficient LED ones. These not only waste significantly less energy, but they also give off light that is closer to the natural one which reduces eye-strain. Another thing you can do to reduce the amount of energy wasted by your household is take care of your insulation. If you notice that there’s a lot of heat/cold escaping your home you should insulate your windows and doors, line some of the external walls with cork (extremely good insulator, that’s also eco-friendly) and cover your bare floors with carpets. You can also install a thermostat with an occupancy sensor that will turn off every time there’s no one in the room. 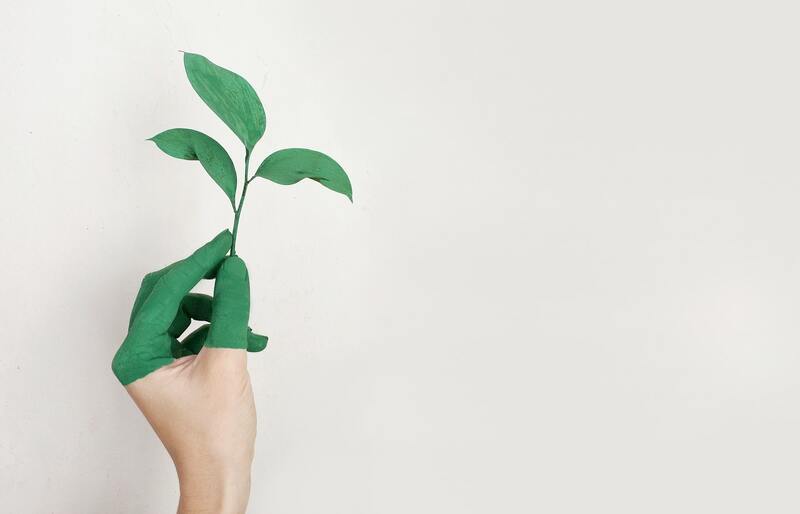 These were just some of the smaller upgrades you can treat your home to, to reduce the amount of energy and water wasted, thus reducing your property’s overall carbon footprint and making it a green home. And another great thing about them is the fact that they will help you reduce your utility bill as well, which is something everyone would like to do.